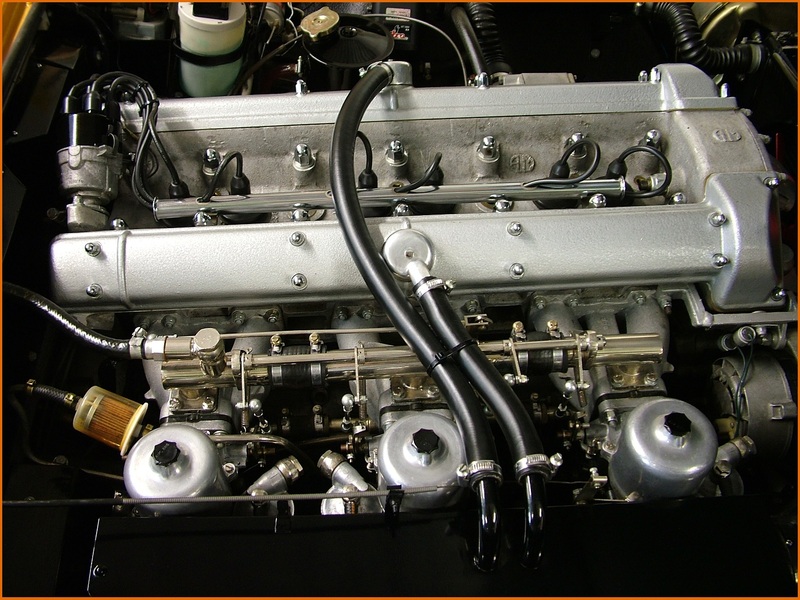 DBS/5636/R (engine number 400/4665/S) was manufactured in the spring of 1970, complete with certain modifications specifically for its intended role in the television series “The Persuaders!” in which it featured prominently in the almost all of the 24 one-hour episodes. 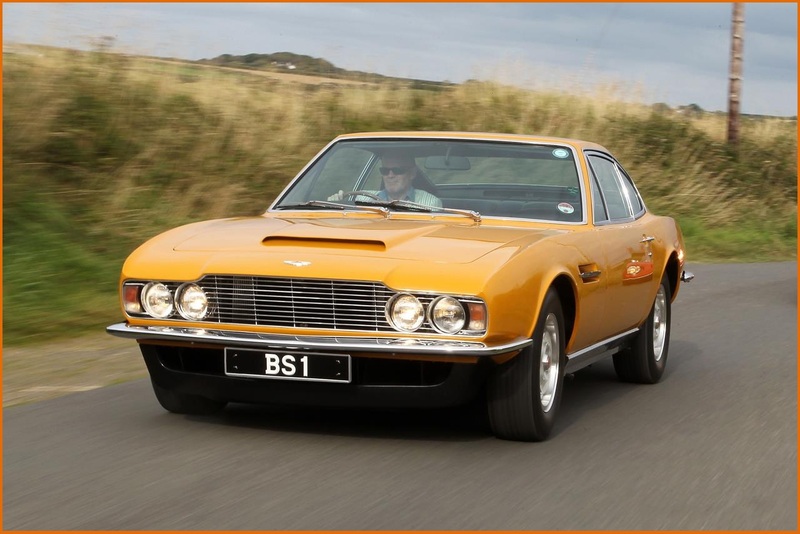 Aston Martin had been invited by the producers of "The Saint" (Bob Baker and Johnny Goodman) to provide a car for Roger Moore in his role as Lord Brett Sinclair in the TV series, in which Moore would co-star with Hollywood legend Tony Curtis. It was to be the most expensive TV series ever filmed to date, with various glamorous locations around Europe. Moore had expressed an interest in the DBS model which he felt would be ideally suited to the character of Lord Brett Sinclair. Curtis’ character Danny Wilde was to drive a Ferrari Dino 246GT and the cars were to be an important element of the show. Naturally, Aston Martin were eager to provide a car. They even provided one of their mechanics throughout the production to make sure the car was always in good shape. 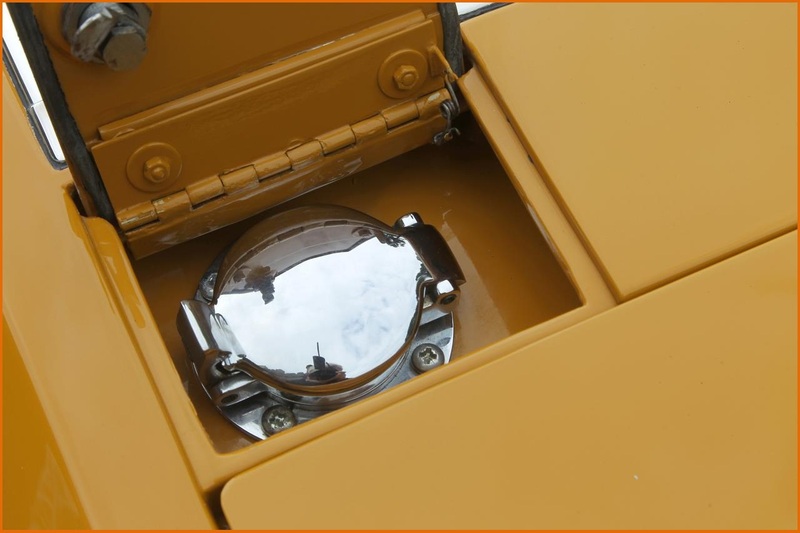 It made sense to provide their latest model, the recently unveiled DBS V8, in order to gain maximum benefit from the planned television exposure. 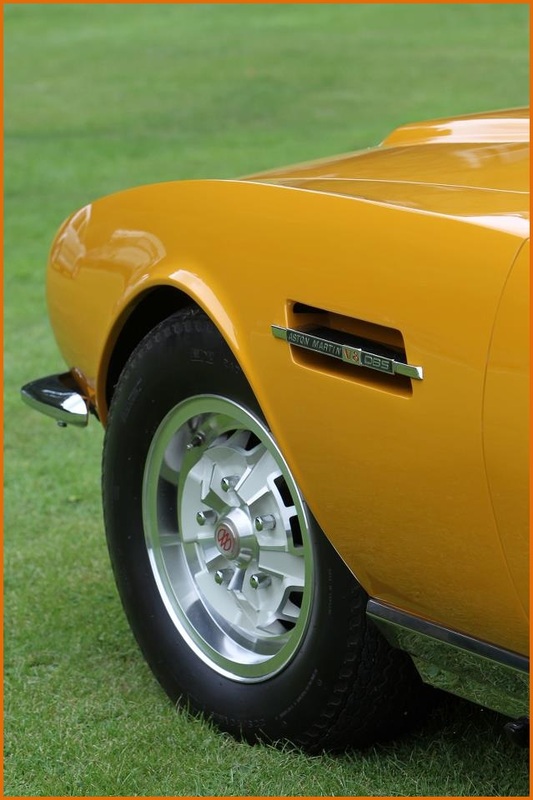 However, the new V8 version of their DBS was not quite ready for full production and it proved impossible to provide a reliable V8 engine in time for the start of filming. 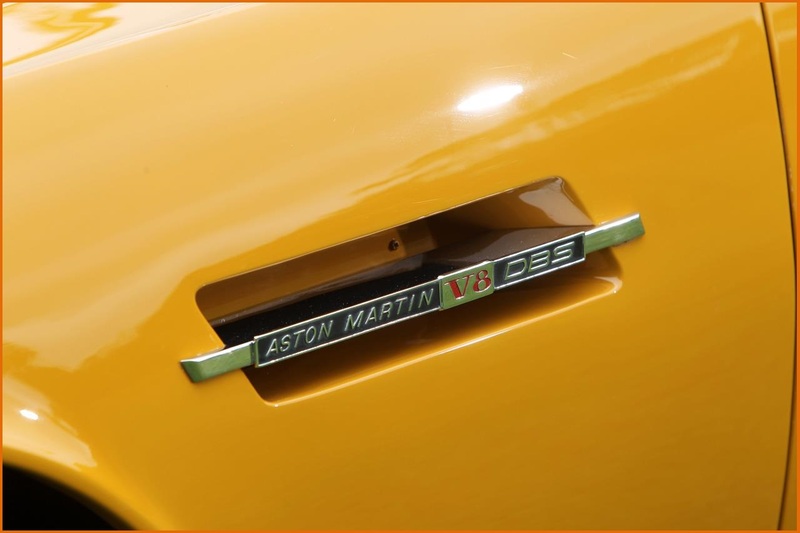 The decision was made to opt for a standard DBS with the well-proven six-cylinder engine, but to build the car as a DBS V8 in all visual respects, as if “wearing make-up” for its starring TV role. 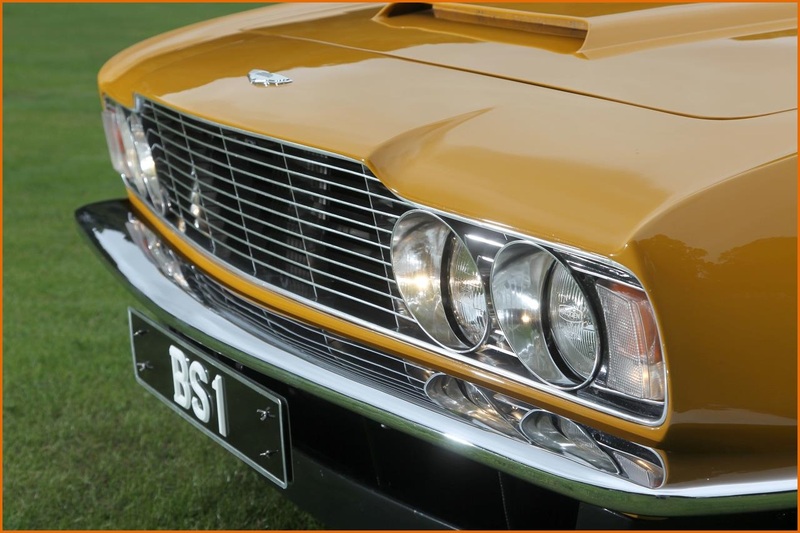 A certain standard DBS (chassis# 5636) was nearing completion on the production line in the rare colour of Bahama Yellow and seemed an ideal candidate for the role. 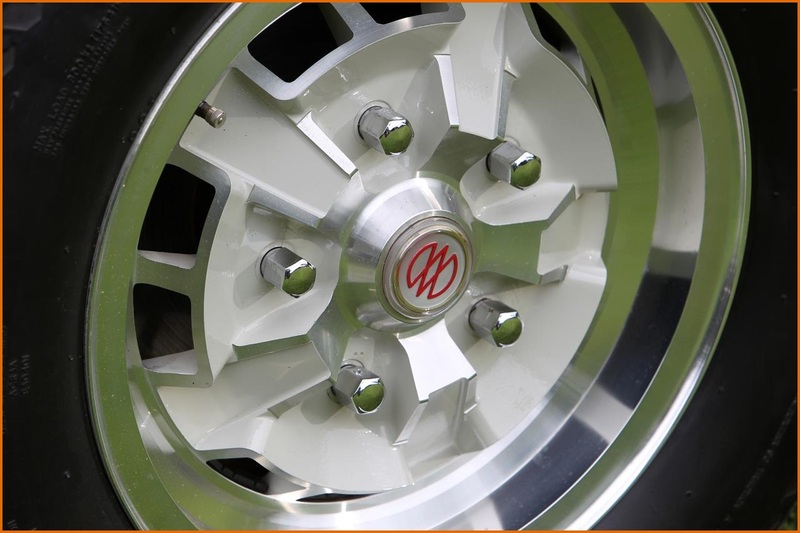 The modifications were limited to V8 wheels (15-inch GKN alloys) and hubs, and V8 badging. 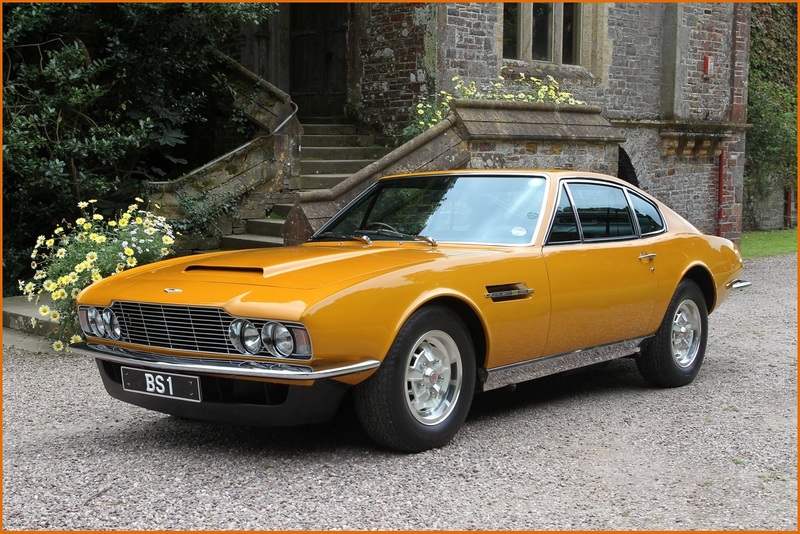 Incidentally, chassis 5636 proved to be the only right-hand-drive DBS ever manufactured in Bahama Yellow. 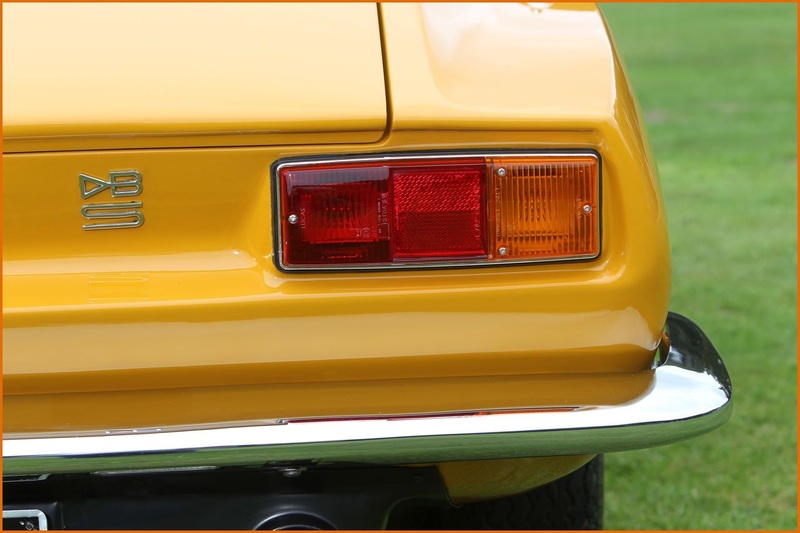 The car was first registered in England on 15 May 1970 with number "PPP 6H". Johnny Goodman, who was in charge of production of the new TV show, collected the car from Aston Martin, drove it to Lydd Airport in Kent and flew it to the South of France by Carvair aeroplane for the start of filming - a journey he remembers very fondly. Filming commenced with the two cars (DBS and Dino) featured in a memorable race from Nice airport to the Hotel de Paris in Monaco. Later episodes were filmed in locations such as Rome, Paris and London. 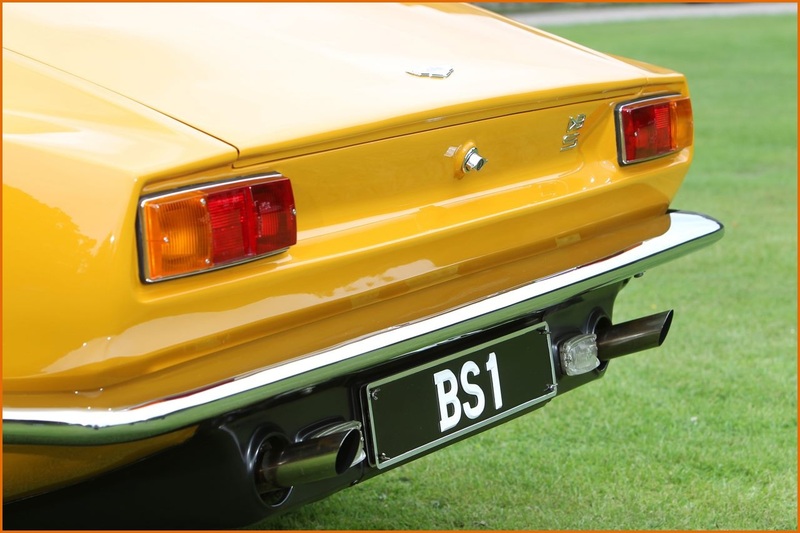 Although in its TV role the car almost always wore the number plates "BS 1" (for Brett Sinclair) there were two brief scenes in the episode “The Gold Napoleon” where the film crew forgot to put the 'BS 1' plates on the car. As it proved logistically impractical to re-film those scenes, the car’s true identity 'PPP 6H' was revealed in the final edited show! In real life the number 'BS 1' was owned by circus impresario Billy Smart who had given permission for it's use. “The Persuaders!” was hugely popular worldwide and remains so to this day with regular satellite TV re-runs. It was pure escapism and the on-screen chemistry between Moore and Curtis and their relaxed ad-lib style of acting always made for great entertainment. 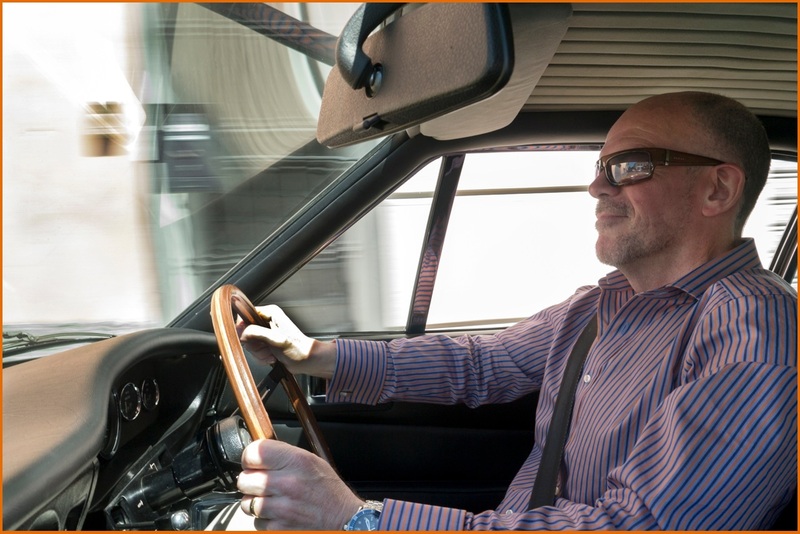 Roger's DBS and Tony's Dino 246GT were a big part of the show and indeed many Aston Martin fans can trace their love of the marque back to watching the TV series in their childhood or teenage years. After filming 24 episodes, Roger Moore was invited to take the role of James Bond and “The Persuaders!” sadly came to an end. The DBS had covered about 5000 miles by this stage and had taken a fair degree of punishment. It was returned to Aston Martin for servicing and then sold through London dealer HR Owen to its first private owner in 1971. 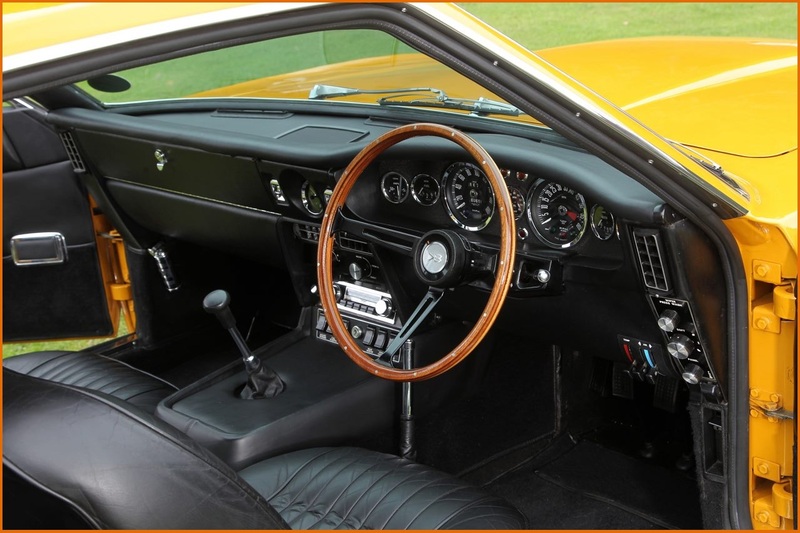 Twenty-four years, 70,000 miles and three private owners later, by 1995 the car was really 'showing its age' and the fourth owner immediately commissioned a restoration to concours standards by the Aston Martin Works Service, with no expense spared, requesting that the car be returned to the specification that had existed when filming of “The Persuaders!” commenced. The restoration took two years and was completed in 1997. 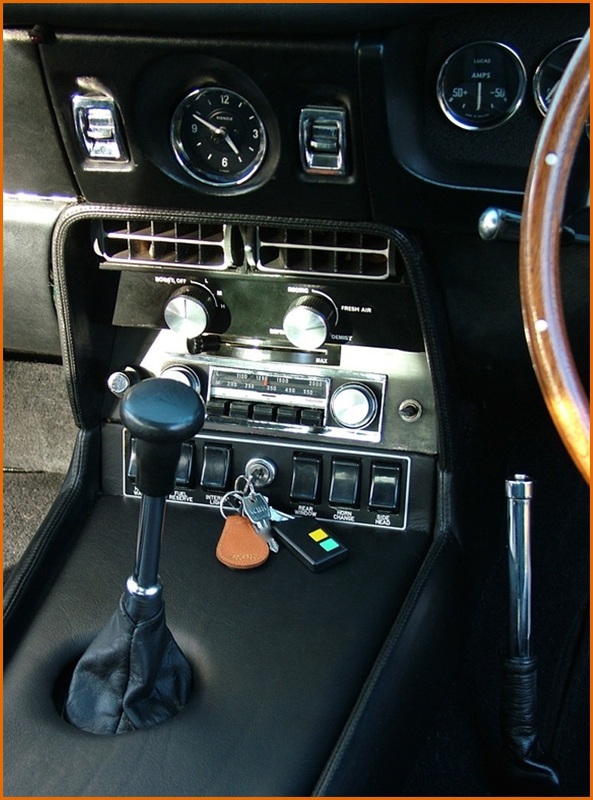 The car retains all its main original components and even the interior leather and headlining did not require replacement. The original registration number "PPP 6H" was reinstated. 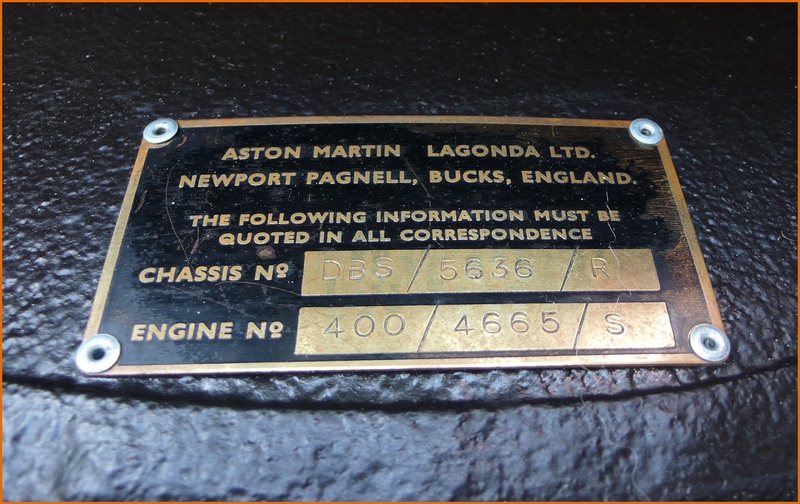 The car has been serviced every year since 1997 without fail by Aston Martin Works Service, except for the years 2007-2010 when it was handled by ex-Aston Martin factory engineer David Eales at Oselli. 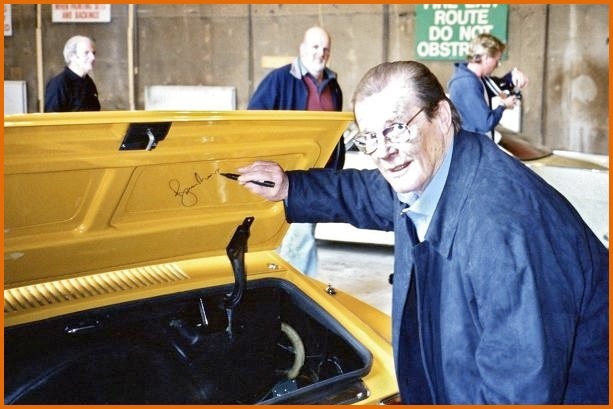 In 2003 the fourth owner was invited to take the car to Pinewood Studios to meet Sir Roger Moore who was there recording the commentary for the boxed DVD set of The Persuaders! Roger wasn’t expecting to see the car and hadn’t seen it since filming ended in 1971. He was amazed and delighted, and marked the occasion by signing the underside of the boot lid. 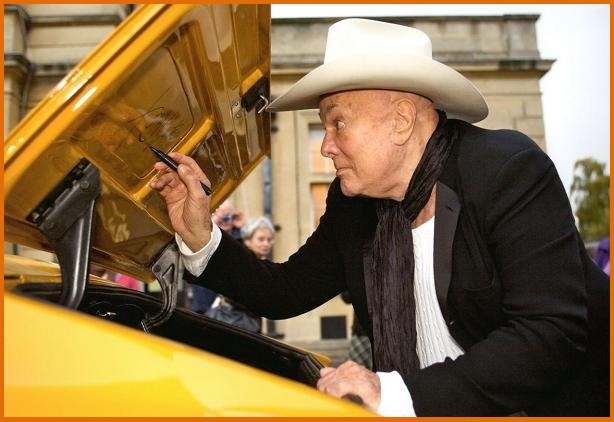 In October 2008 Tony Curtis was appearing at the Cheltenham Literary Festival in connection with the launch of his new autobiography, and the owner took the DBS along to show to him. 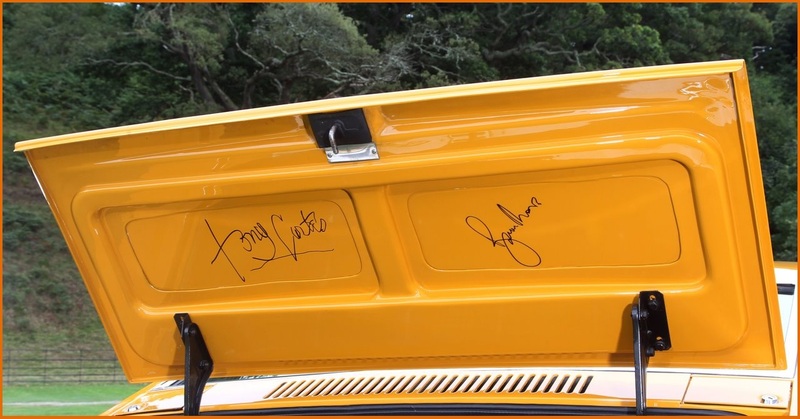 Tony was delighted to see the car again after 37 years, and signed his name alongside Roger's on the boot lid. In November 2010, musician Ed Stratton (the current owner) acquired the car by private treaty. 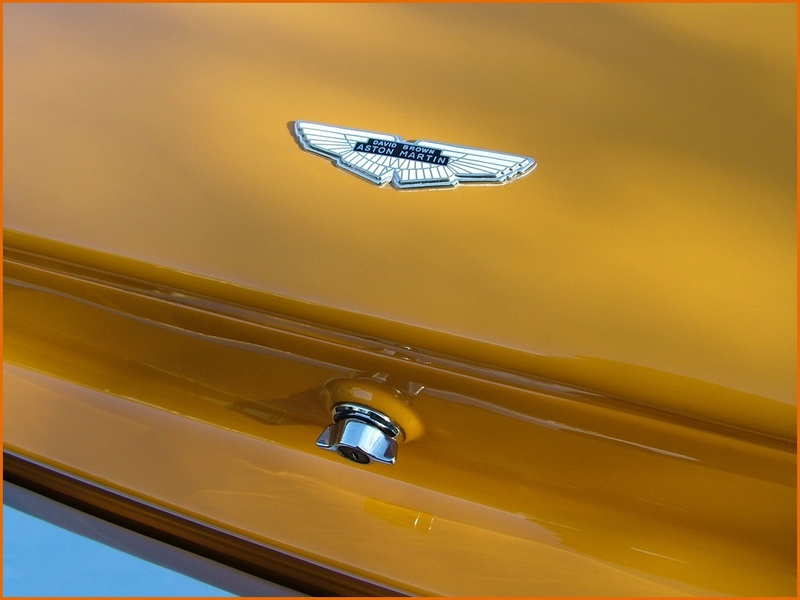 Annual servicing of the car continues to be entrusted to Aston Martin Works Service. 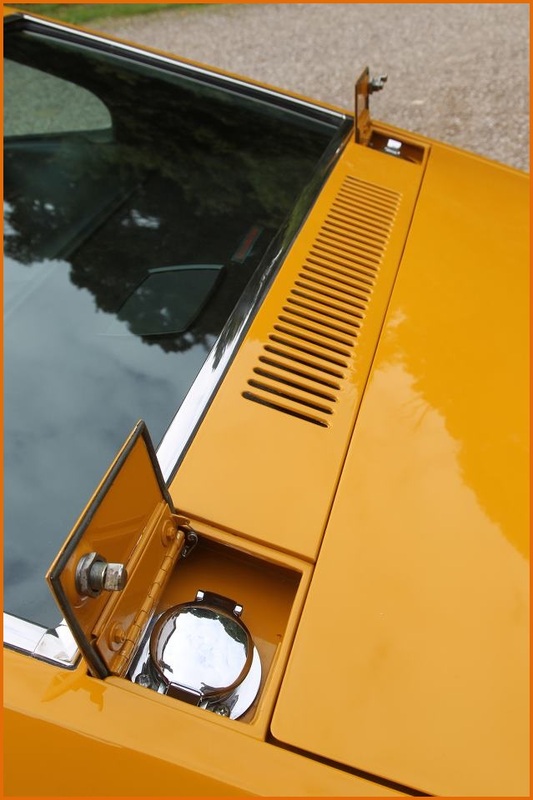 To the best of Mr. Stratton's knowledge, the DBS had never been displayed in public prior to the Aston Martin Owners Club Spring Concours in May 2011. 'The Persuaders!' 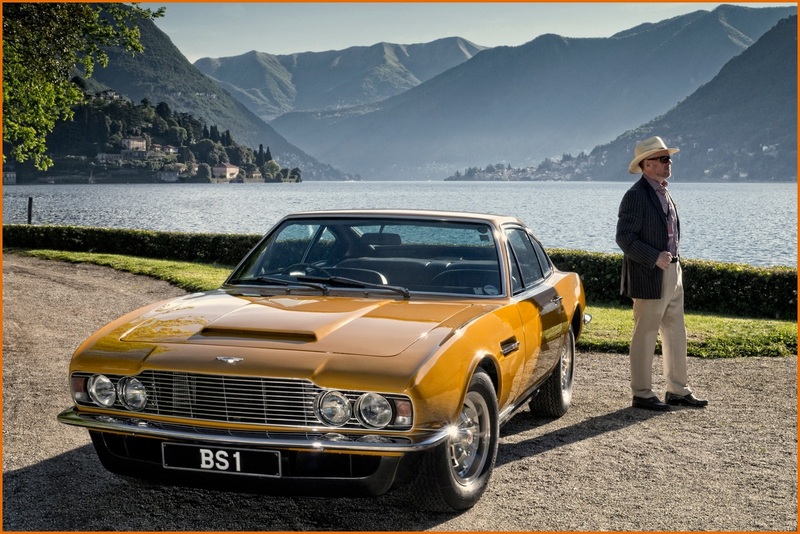 DBS was one of only 49 cars (one of only five Aston Martins) to be invited to participate in the 2013 Concorso d'Eleganza Villa d'Este at Lake Como, Italy. More recently, it has been one of the stars of the Aston Martin Time Line at the Aston Martin Centenary celebration at Kensington Palace(London) in July 2013, and it also competed in the Centenary class of the UK's most prestigious "garden party" concours Salon Privé in September 2013, winning a coveted rosette for it's wonderful condition, and timeless styling. Many thanks to Ed Stratton for having shared with us the story of his fabulous car, which is without any doubt the most famous DBS. 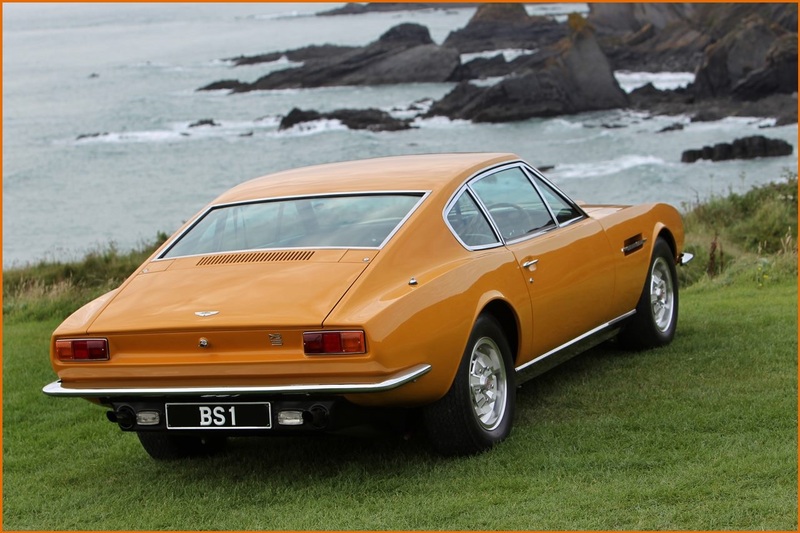 It should also be noted that several DB6 cars produced alongside the DBS also left the factory in Bahama Yellow. This is also probably also the case for several DBSV8’s built at the same time as the final DBS 6 cylinder cars, although this has still not been officially confirmed.